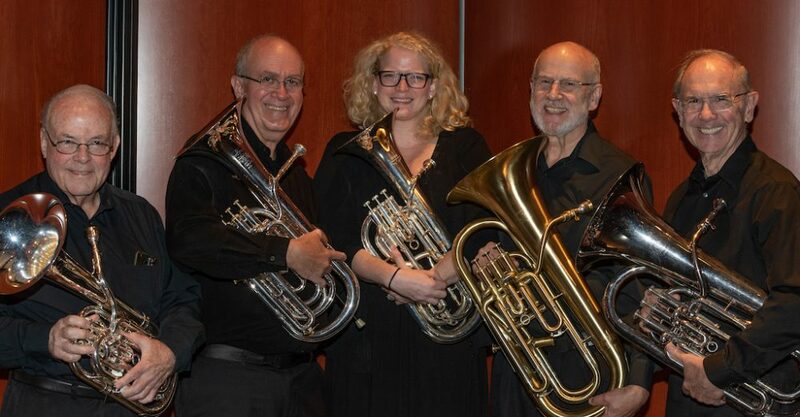 Join us for our first Concert of the 2011-2012 Season, “Autumn Brass” featuring Cornet Soloist, Small Ensembles and Full Brass Band performing pieces covering a wide variety of musical styles. The concert is on Friday, October 14th at 8:00 p.m. in the Jackson Theatre, Smith Center for the Performing Arts, on the Ohlone College Campus, 43600 Mission Boulevard, Fremont, CA 94539. This performance will be conducted by MPBB Musical Director Tony Clements, who will be joined by Special Guest Conductor Dr. Rob Franzblau, Professor of Music and Director of Bands at Rhode Island College in Providence, RI. The program includes “Jubilance” by William Himes, featuring Cornet Soloist Guy Clark; “Basin Street Blues” by Spencer Williams, featuring the MPBB Trombone Trio; The Overture to “Marriage of Figaro” by Mozart, featuring the MPBB Cornet Ensemble; “Legend in Brass” by James Curnow; the Brass Band Classic “Resurgam” by Eric Ball; and more. plus $2 Ohlone College Parking Fee per Vehicle. Tickets may be purchased in person the day of the concert, online at www.smithcenter.com or by phone (510) 659-6031.